As we enter the change of the millennium, the role of the woman has changed and will continue to change dramatically. Striving to maintain ourselves in the age of technology, we find years pass with such speed and anxiety that sometimes we do not know what maintains us except the blessing of God’s companion. A woman carries the responsibility of the physical, mental and spiritual well being of her family. This is a serious job that can reap great rewards, but also carries dire consequences when not done successfully. In addition to that, many women have added the weight of work and career. When there is constant pressure and no relaxation, when there is no outlet, when there is a constant deficit in our mental and physical capacity, it results in a shattered mind and the loss of happiness and inner peace. We suffer as women, and our generations suffer as a result. This is a dilemma that is shared by women in every country, of every religion, on every continent. 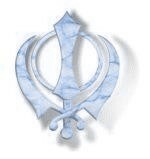 BANA (The Khalsa Uniform): Bana is our own flag. Bana is our nishan that states unequivocally who we are. If we have the dress and fashion of a movie star, that makes a statement as to who we are. If we wear the clothes of a beggar, that also tells the world what our status is. And if we wear the bana of the Khalsa, this makes a statement of strength that cannot be ignored by the hardest of hearts. Bana is the image and dress of grace. Bana is the five K's of the Khalsa: Kesh, Kacherha, Kanga, Kara, and Kirpan. Each one of these beautiful accoutrements gives us strength and beauty. Bana is a statement that says, with a look, that I belong to Guru Gobind Singh, and He belongs to me. I belong to the Khalsa and Khalsa belongs to me as the drop of water forever merges into the ocean. I shall give them all my strength. then I will withdraw my recognition. 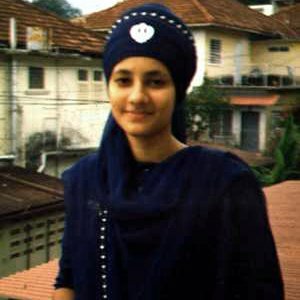 Well, as a young woman of 18 years, full of the spirit of life and the excitement of discovering the teachings of Guru Gobind Singh Ji, it never occurred to me to not wear a turban. The Khalsa of Sri Guru Gobind Singh Ji wore the dastar, and that was who I wanted to be. So it was with great sincerity that I tied my first turban. As you can imagine, the most dramatic effect of wearing a turban is not physiological, but rather it is social. Wearing a turban gave me pride and confidence. My parents and my friends were stunned. They thought they had lost me, but of course they had not Rather the experience of being distinct has made me more committed to the welfare of those around me, because everything I do is highlighted and examined by others. Now that I have lived my life experiencing the benefits of the turban, I can tell you honestly that you are missing a great advantage by not doing so. I have been given the respect and the status of a spiritual woman, even when I myself have been filled with self-doubt and misgivings. This I see as Sri Guru Gobind Singh Ji fulfilling his promise, giving me strength even when I do not have strength myself. This beautiful dastar proclaims to the entire world that I belong to Guru Gobind Singh and that is a reality I will never deny. By the Grace of God, we are Sikhs of the Shabd Guru. We bow to no man. We worship no images. We bow to the Word, the Shabd, the sound current. As women, we cannot underestimate the power of our own words and language. Our words contain the power of love and hate, and we should be mindful of how to communicate with all of God's children. How do we do this? Through exercising the daily recitation of Nitnem and Gurbani. 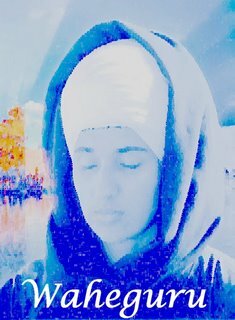 The daily prayers of the Sikh are a beautiful form and format that rearranges our neurological processes to provide us with a direct connection with the infinite creative energy of the universe. This is the heart of the Guru's teachings. And if we do not experience this ourselves, we will most likely deny this experience to our children. the Word of the Formless Lord. There is no other as Great as He is." This is why we say that our Guru is the Shabd Guru. 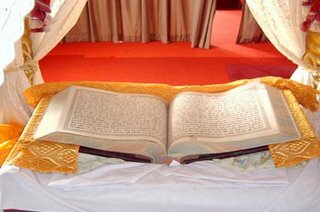 The Siri Guru Granth Sahib Ji is not a "book," it is not a "bible;” it is a ‘living Guru’ that guides us, protects us and enlightens us. The whole science of Gurbani has the power to make a person divine just in its recitation. It does not require a deep and scholarly understanding or interpretation for an impact on our consciousness because Bani is understood by the heart, not the head. The entire Siri Guru Granth Sahib is the calling out of the Beloved. A woman does not need to be dependent on sants and preachers, being led around like a donkey with a string in her nose. All that is needed is the inner experience of God that can be brought to us from our own Guru, the Living Guru, the Shabd Guru. That is the miracle, the science, and the blessing of Bani. "To the one who meditates on Him, there comes a perfect peace. And all pain and sorrows depart. Meditate on Him, who contains the universe. Whose Holy Naam is the whisper on the lips of the entire creation. " Simran provides us with the answer to maintaining our balance and equilibrium. Naam Simran is the use of the Gurmantra; the meditation and recitation of Waheguru. How do you do simran? There are as many answers to that question as there are people to ask. The simply answer is: simran is not a technique but a process. At any time that is peaceful, but especially in the early morning before dawn, sit and concentrate on the Holy Naam. Project out with focused clarity. If you beam the signal out, you will get a clear signal back. This cleanses the subconscious mind, clarifies the conscious mind, and gives us the experience of bliss and peace. In the divinely human experience, we understand our depth and dimension, gaining access to our inner strength, direction and intuition. Don't you wonder about yourselves sometimes? You are born with no claws, no hoofs, and no superior strength. As a human being it appears we have been born with no defence mechanism. Have we been created by God as the only defenceless creature in His creation? No. Our strength lies in our intuition. When you can intuitively sense what is going to happen, then you can avoid entering a wrong sequence and you will not end up with an unwanted consequence. That is the best defence we could possibly have. And what gives us intuition? The mind. How does the mind develop intuition? Through meditation. Intuition works when there is no fear involved, no greed involved, no attachment involved and no lust involved. The subconscious mind has to be a clear channel and then the conscious mind perceives the information that is coming from the intuition. We all have that power as human beings because every mind is part of the universal mind. However, women are created with an enhanced subtly, an accentuated sensitivity, which gives us great depth and dimension. For women, simran is an essential tool of life, a quintessential feminine strength. To ignore this aspect is to not water the most beautiful flower that grows in our garden. Simran gives us the key to know ourselves and the ability to know and love God. SEVA: If the strength of one is great, the strength of the many is even greater. Seva is the knot that ties us to each other, ties us to our Guru, and transcends us from our own individual consciousness to the expansive nature of universal consciousness. No matter how great our stature, no matter how vast our authority, if we separate and isolate ourselves through the definition of ego, then we are far less than what our potential could be. Service to each other and service to Guru Ji, when done with a loving heart, with no desire for reward, breaks the bonds of ego and frees the soul. and ego departs from within." 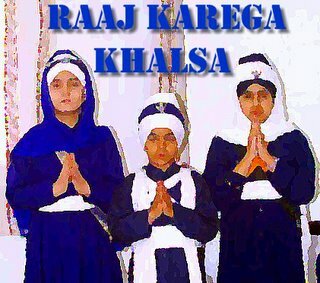 - the next generation of Khalsa! as a small child and even as a young growing sikh boy, i have always looked upto my mother and my sisters for strengh and i have so to greatful to them to be leading by example. 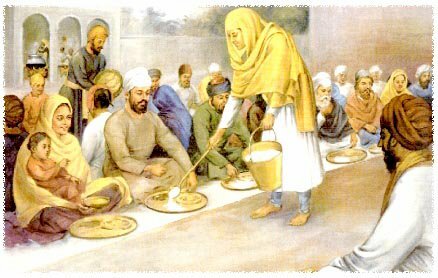 as a young boy it played a big role in my life seeing my mother and sisters following the footsteps of our great sikh dharma. we need you..as our role models. im so ever greatful to you my daughters and mothers of KHALSA.